Posted on 01/01/2014 by Jayson	in Markets Comments and tagged STI, True Support. 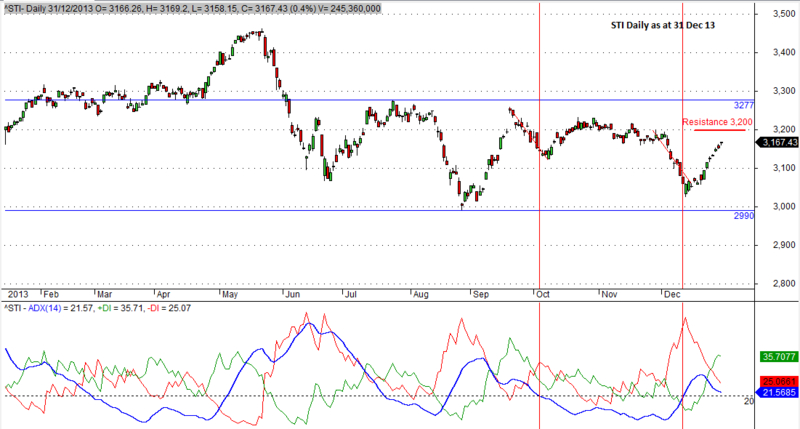 The analysis was accurate that STI rebounded from 12 Dec 13 onwards. I have illustrated what is true support and indicators are lagging. Though the window dressing finally came after 12 Dec 13 with much excitement, the immediate resistance of 3,200 was not broken by 31 Dec 13.